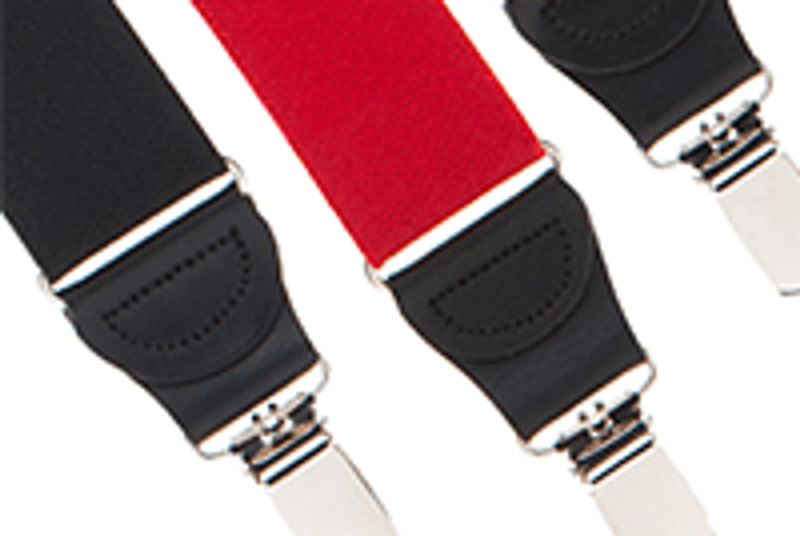 Many customers feel our elastic drop clip suspenders are the perfect all purpose suspenders! Elastic straps are both functional and versatile - with just the right amount of stretch to be comfortable whether you are sitting at a desk or shaking it up on the dance floor. Available in a wide variety of colors, you can find just the right hue to accent your attire. The drop clip end features a small leather tab between the elastic strap and the finger clip, which gives the suspender a more polished and finished look. 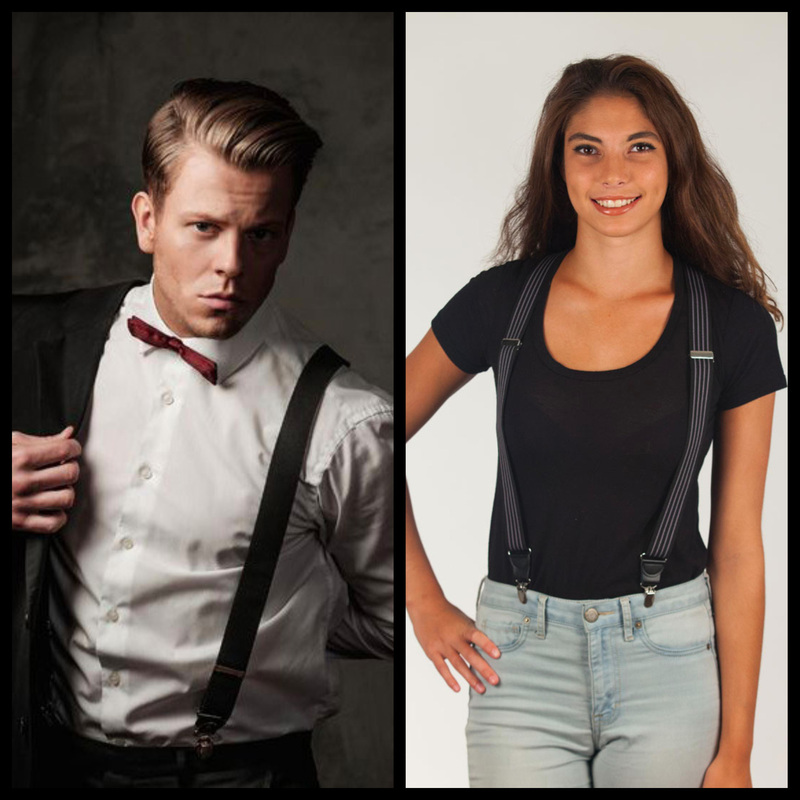 Suspenders with drop clips look slightly dressier than their non-drop clip counterparts, but not so dressy that they look out-of-place with casual pants or a pair of jeans. These factors add up to making this versatile line popular as groomsmen suspenders as well as every day business suspenders. Available in a wide range of solid colors and dressy pin stripes to make finding the perfect suspender for your attire a breeze!